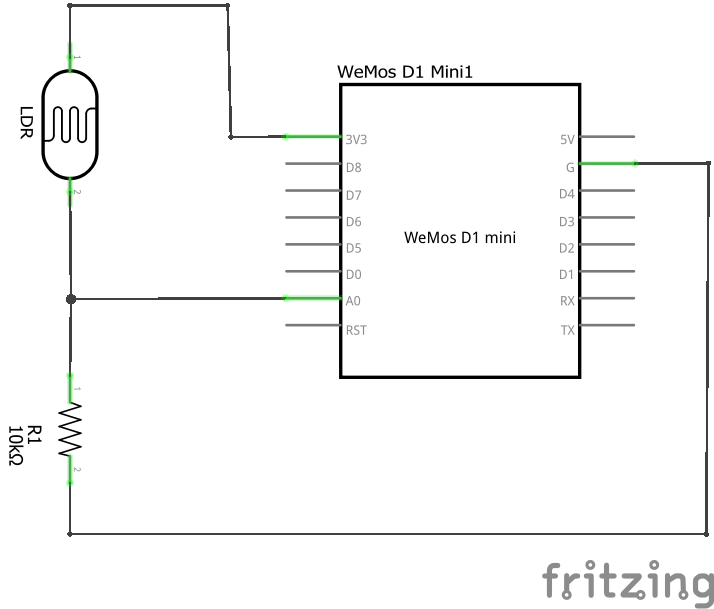 In this example we connect a photoresistor to an Arduino, the value read from the photoresistor corresponds to the amount of light present. 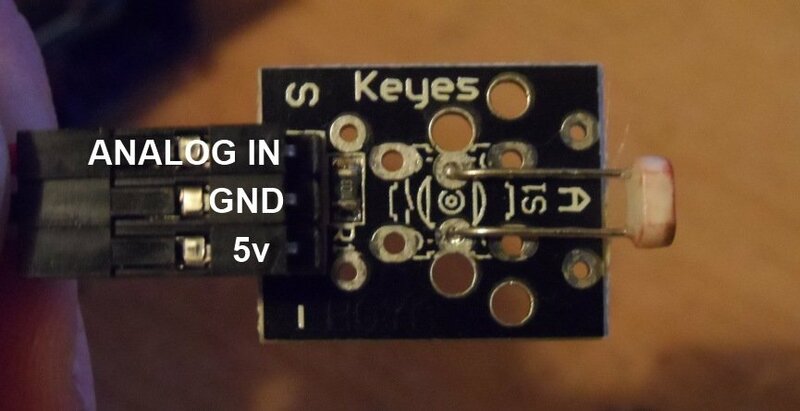 The photoresistor is connected to analog pin 0 in this example. A photoresistor (or light-dependent resistor, LDR, or photocell) is a light-controlled variable resistor. The resistance of a photoresistor decreases with increasing incident light intensity; in other words, it exhibits photoconductivity. A photoresistor can be applied in light-sensitive detector circuits, and light- and dark-activated switching circuits. A photoresistor is made of a high resistance semiconductor.